I am a true believer in BG products! | BG Products, Inc. 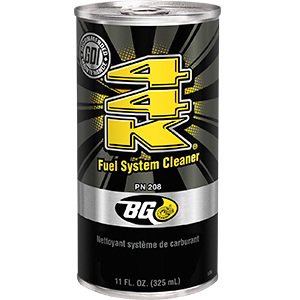 I recently used BG 44K® Fuel System Cleaner in my 2000 Ford Ranger XLT 4 x 4 with the 4.0 V6 engine. It has 276,000 miles. It previously got 14.5 mpg on the highway. After one can of your BG 44K®, my mileage has improved to 18.5 mpg on highway trips. That is what I call outstanding results! I am a true believer in BG products!